Engaging in acts of kindness, whether random or premeditated, can certainly go a long way toward helping the recipients of your actions feel good. But did you know that being on the giving end of caring actions can reduce your stress levels, as well? There have been several studies done on how performing acts of kindness affect the happiness and well-being of the giver. In one study done in England, 86 people were divided into three groups. All of the participants took a life satisfaction survey at the beginning of the study. Over the next 10 days, members of one of the groups performed at least one act of kindness per day, those in the second group performed an act of kindness that was different each day, and people in the third group were not instructed to perform any acts of kindness. At the end of the 10 days, participants retook the life satisfaction survey. The results showed a statistically significant increase in the happiness of both groups with members who performed acts of kindness but no happiness boost in the group with members who did not [Kat10]. In a recent study, 77 adults were given a smartphone app in which to record their daily experiences. They kept track of negative experiences and events (stressors) as well as any acts of kindness they performed. The results of the study showed that people who helped others throughout the day maintained a more positive mood, even when challenged by stressors. On days when the same people were not able to perform helpful acts, they reported reacting more negatively to daily stress[Eli15]. Performing acts of kindness served as a mood buffer for negative occurrences, allowing the giver to more easily maintain happy feelings. Treat yourself kindly. Practice positive self-talk. Don’t be critical of yourself. Treat and talk to yourself the way you would a treasured friend. Perform good self-care. Take care of yourself well by eating healthfully, exercising, and making time to do the things that give you happiness. Practice makes perfect. As is the case with most things you are trying to learn, you will find that repetition causes kindness to come easier. Start by committing to doing one nice thing for someone else every day. After 14-21 days, you’ll probably find that kindness is becoming a habit. Count to 5. When faced with a situation in which you might normally become irritated, feel critical, or act unkindly, it can help to take the space of 5 breaths to remind yourself to react with kindness. It can be especially helpful to remember that you don’t know all the circumstances that may be causing another person to act in a way that irritates you. Showing them kindness rather than consternation may really make a difference in their life, and it can lower your stress, too. The ways in which you can show caring for others are endless. Here are just a few ideas to start you down the road toward using compassion to decrease your stress and that of others. Hold the door or elevator for someone. 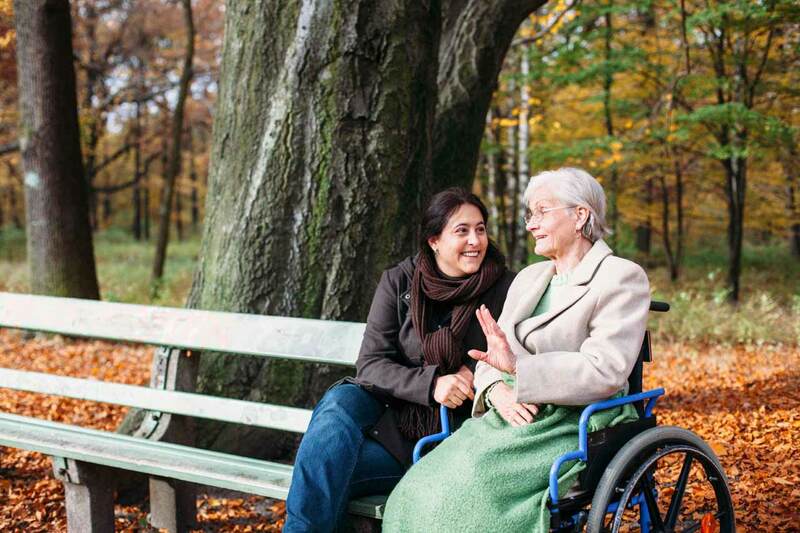 Take time to chat with an elderly person on the sidewalk, at the store, or on the bus. Help your child with homework patiently. Make your spouse’s day easier by taking over a household chore that he or she normally does. Call a friend or family member just to check in. Put a special note or small treat in your child’s lunch as a surprise. Pay for the person behind you in the drive-through line. Call a parent or someone you know would love to speak with you and spend unhurried time listening to and sharing with them. Leave a note such as “great job!” for your restaurant server. Ask, with sincerity, if there’s anything you can do to make a co-worker’s day easier. Hand write a card thanking your neighbor just for being a great person to have in your community. Send a text to someone you haven’t spoken to in a while with a sincere compliment on something you admire about them. Tell your manager that a co-worker has done a great job on something. Once you get started, opportunities to perform acts of kindness will present themselves to you more easily because you’ll be more open to seeing them. Take as many of those opportunities as you can. It won’t just help the people to whom you’re showing kindness; it will help you, too.